Bollywood actress Anushka Sharma and Virat Kohli head for their honeymoon. Staying away from the hustle bustle, Anushka Sharma tied the knot with Indian Cricketer Virat Kohli on Monday in Italy. The adorable couple who has always shown their support for each other, finally married. After their lavish and intimate wedding in Italy, newlyweds Virat Kohli and Anushka Sharma have flown off to Rome for their honeymoon. According to a report in India Today, Virat and Anushka left Borgo Finocchieto at around 3 PM on Tuesday for their Roman holiday. Before returning to India for their wedding reception, Virat and Anushka have chosen to spend some quality time. The two will be going through hectic schedule as Virat Kohli will get busy with upcoming South Africa series. On the other hand, Anushka will start shooting for her upcoming projects. Post wedding reception in Delhi and Mumbai on December 21 and 26 respectively, the couple will travel to South Africa where Virat will prep up for the upcoming series. The two will ring in the New Year together in South Africa. Meanwhile, the couple has extraordinary and unbelievable plan to do with their wedding and pre-wedding photos. 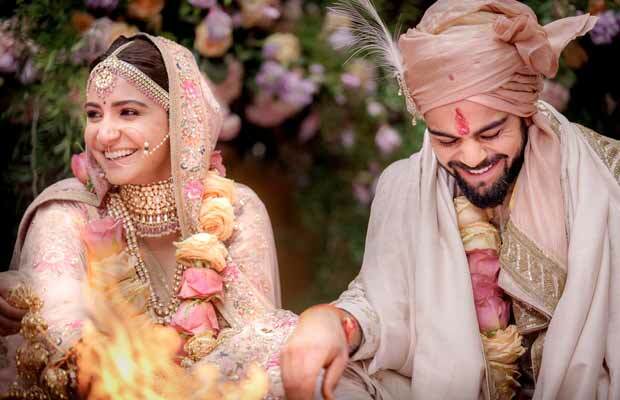 Read Here To Know More: You Won’t Believe What Virat Kohli And Anushka Sharma Are Going To Do With Their Wedding Pictures! Previous articleThis Is Where Anushka Sharma And Virat Kohli Will Be Staying In Mumbai!